How much do you actually know about New York City? Did you know they tried to anchor zeppelins at the top of the Empire State Building? Or that the high-rent district of Park Avenue was once so dangerous it was called “Death Avenue”? 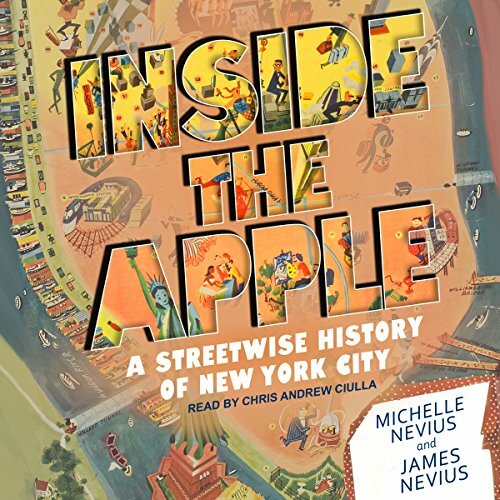 Lively and comprehensive, Inside the Apple brings to life New York’s fascinating past. This narrative history of New York City is the first to offer practical walking tour know-how. Fast-paced, but thorough, each of its bite-size chapters focus on an event, person, or place of historical significance. Rich in anecdotes, it whisks listeners from colonial New Amsterdam through Manhattan’s past, right up to post-9/11 New York. This energetic, wide-ranging, and often humorous book covers New York’s most important historical moments but is always anchored in the city of today.